This even more secure Bordo Folding Lock, part of the Granit X-Plus range, comprises of the Abus X-Plus cylinder for maximum picking protection. 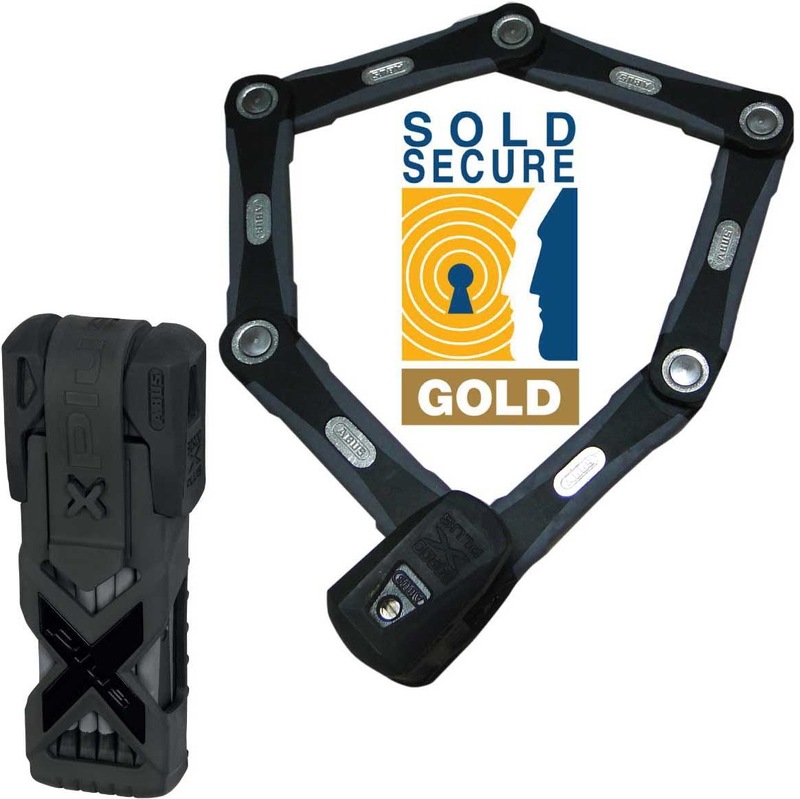 Manufactured with 5.5mm hardened steel links it will resist the most brutal attacks. At 85cm long, its concertina-style construction offers a multitude of fixing possibilities to lamp posts, etc. Comes complete with sleek rubberised pouch with Velcro strap to facilitate attaching to anywhere on your frame.